Growing up in NM I have experienced the natural beauty of our state, from desert to high mountains, enjoying the outdoors, Skiing, Camping, Hiking, with my friends and my Husky Bandit. I can’t imagine living anywhere else. My family was in the Building/Construction Business with the Dale Bellamah Corporation building homes in NM for many years. My Real Estate Career started in 1989 as a sales associate listing and selling homes in the Albuquerque Metro area market. Obtained Top Producer status for many years including co-managing the HUD foreclosure contract for NM. In 1997 started my management career with Prudential Hooten/Stahl Realtors. Working closely with Bill Hooten, we took the company to a regional company before it was sold. This evolved into my ownership of my own company and today Managing Partner of Berkshire Hathaway HomeServices NM Properties and Santa Fe Real Estate. 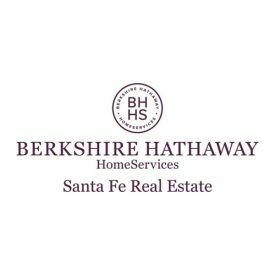 Today as President/Managing Partner of Berkshire Hathaway HomeServices New Mexico Properties, we have over 200 Realtor’s operating in New Mexico along the Rio Grande with offices in Albuquerque, Rio Rancho, Las Cruces and Santa Fe. We offer a Full time Global Relocation Department, and Residential and Commercial Services with our focus on the end result of a positive Customer/Client experience in the transaction.